A class photograph from District 43 in Franklin County. The photo was taken in 1893 and donated by the Fred Brinkerhoff estate. 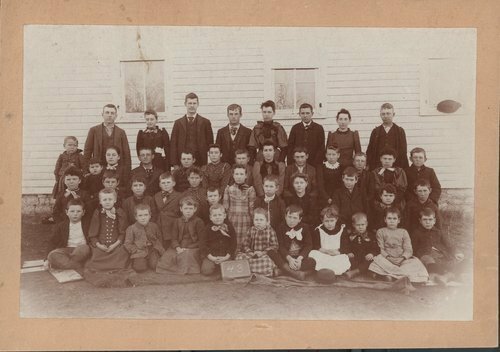 Mr. Brinkerhoff is in the second row from the bottom, fourth from the left.